Helping you to teach your dog the life skills that he/she needs and providing practical information about all aspects of caring for your dog. One to one so that you and your dog can concentrate and learn in a stress free environment. Take place in and around your home. Tailored to meet your exact dog training needs and personal schedule. Owners are always present; but all the family is welcome, thus enabling you to continue the life long training of your own dog. Dogs of all ages are welcome. It’s never too early or late to learn! (Puppies are accepted at 8 weeks). Cost: 220€ for 5 lessons or 80€ for the 1st lesson and then 55€ per class. Does your dog bark or chew incessantly? Become aggressive in certain situations? Act up? Nip? Have separation anxiety? Or is he nervous or shy? The majority of problem behaviours can be completely solved or at worse, dramatically improved by following the advice given during a behaviour consultation. Consultations generally take place over three sessions. In the first session, an in-depth interview will look at all aspects of the dog’s life and its relationship with your family. Practical advice is given along with a tailor-made behaviour programme. The two follow-up sessions are used to offer further support, behaviour modification if necessary and monitor progress. After each session you will receive a written report detailing our discussion. I generally work closely with vets and with your permission will keep them up to date on our progress together. A group of three sessions is usually enough for all but the most severe problems. Cost: 80€ for the 1st session and 55€ for the follow up sessions. Just for Fun: Do you want to play games other than “fetch” and “tug”? Then this is the course for you, a variety of fun, mentally stimulating activities for you and your dog (Mental Stimulation is more tiring than physical education). Fun Doggy Dancing: Learn how to dance with your dog! Twist, weave and build a partnership. Fun Agility: Teach your dog to weave, go through tunnels and jump over jumps. Fun Tracking: Teach your dog to follow a trail and find you or another person hidden/lost in the woods. Each class runs for 4 weeks and takes place in the Bois de Boulogne, Maison Laffite, St Germain en Laye or Marly according to demand. Cost: 75€ for 4 weeks of classes. 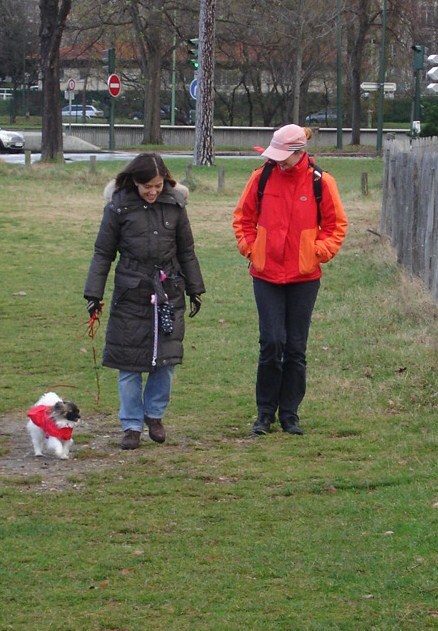 Educational Walks: Develop your “doggie” observational skills and practice, in real life situations, exercise such as “come” and loose lead walking. Good socialisation for your dog. 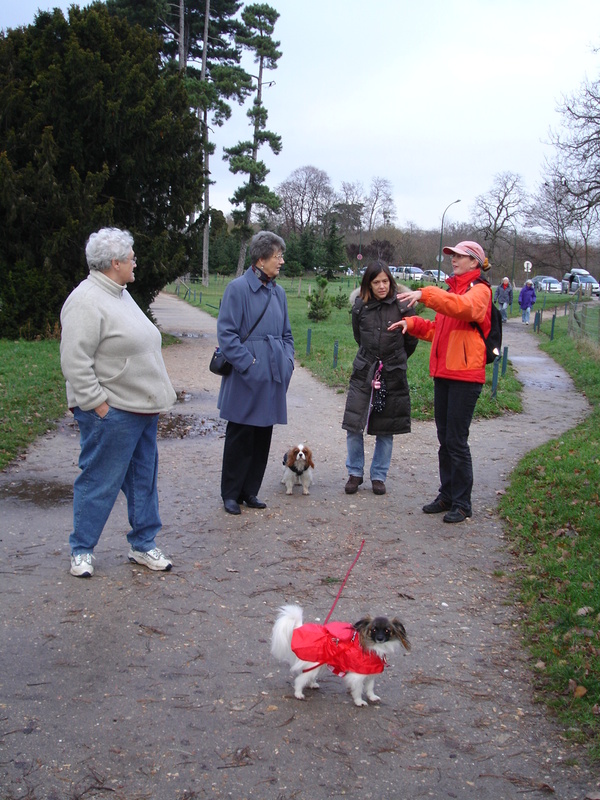 Walks take place in the Bois de Boulogne, Maison Laffite, St Germain en Laye or Marly according to demand. I’m also available to give talks on various topics concerning pet dogs. Please contact me if you want me to come and give a presentation to your school or group. Sorry for the late reply. I only check here once a week. 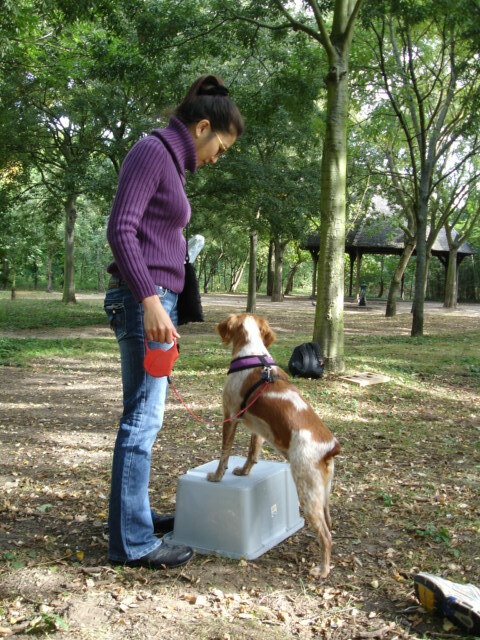 There will be agility classes in the Bois de Boulogne in Oct if you would like to join? I am getting a puppy in just a few weeks. I am interested in your help in training her. She is a rescue dog from the SPA, and I have been told she is timid and has no training. I will send you an email. All the best.